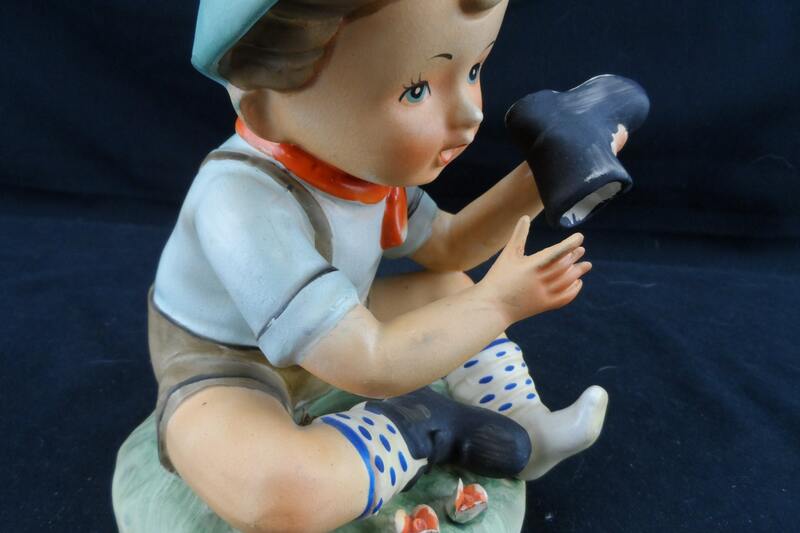 For your consideration is Erich Stauffer Arnart figurine. 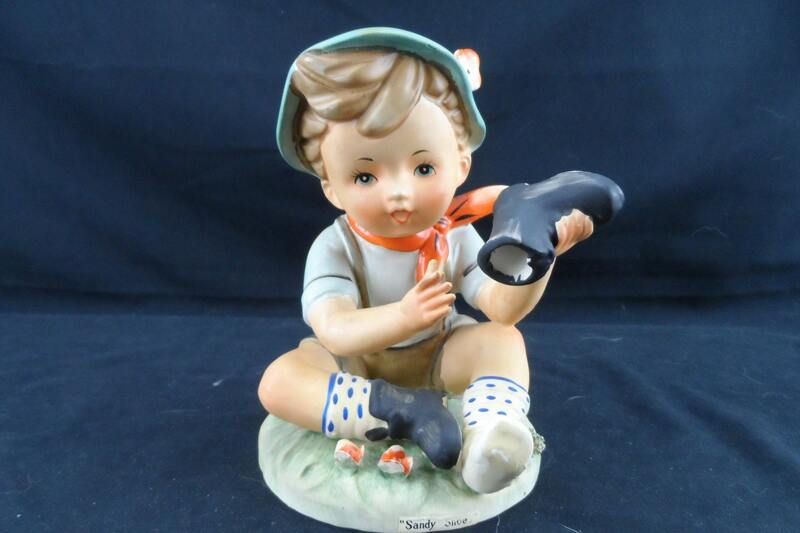 This handpainted figurine is in nice condition. 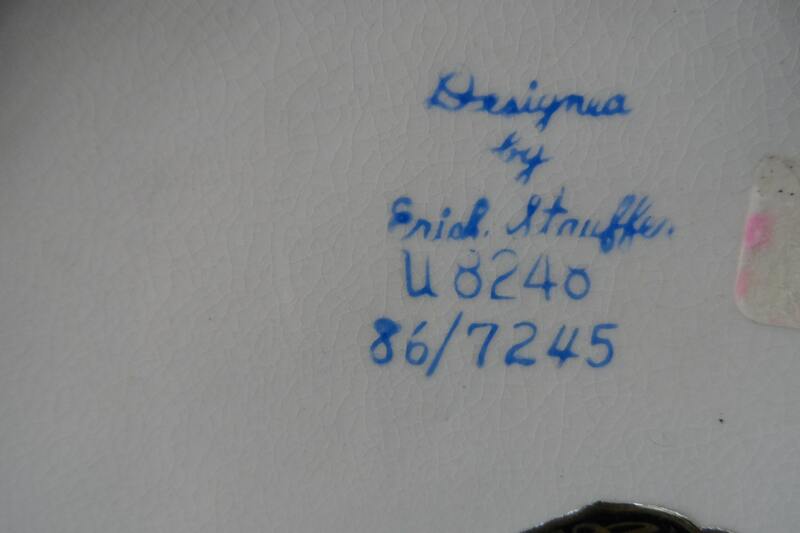 He has his original factory sticker and is signed.. 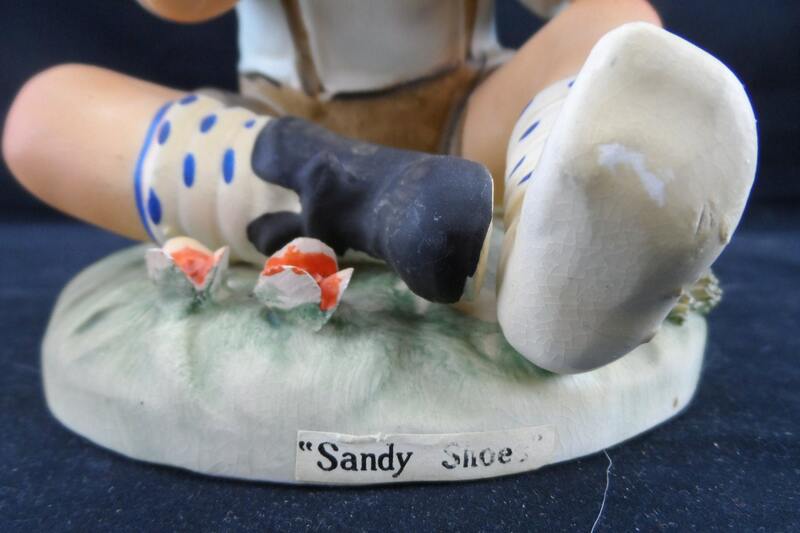 The figurine is "Sandy Shoes" and is U8248 86/7245. He measure 6 1/2" in height. 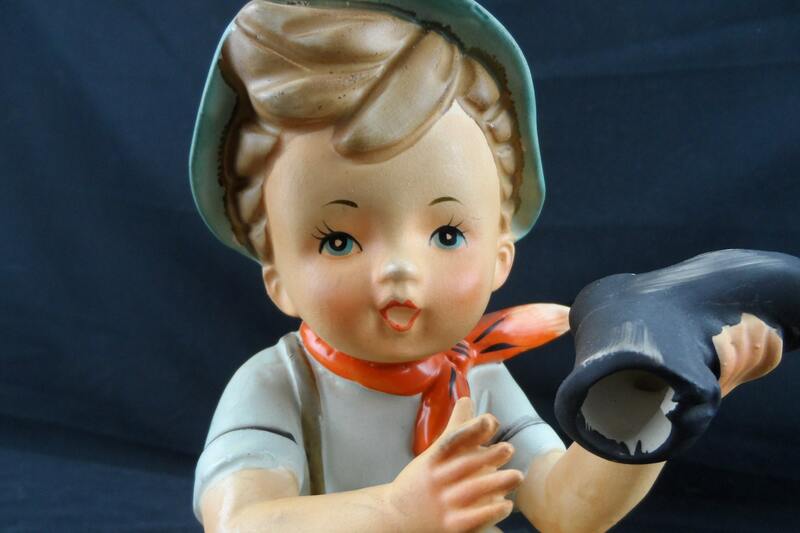 There are no cracks, chips, or repairs to the figurines.